Last June, journalists from the US joined colleagues from the Caucasus region and eastern Europe to piece together a history of who was being held in prison and why. Researchers from the PrisonersWatch project profiled those behind bars and provided data on Azerbaijan’s increasing and unlawful use of its criminal courts to silence political dissent. 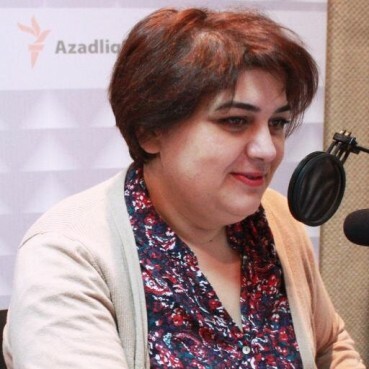 The investigative effort was prompted by the jailing of Radio Free Europe/Radio Liberty journalist and OCCRP partner Khadija Ismayilova, who will soon mark her second birthday in captivity on what press freedom organizations say are trumped-up charges. Since the Azerbaijani government began targeting independent journalists, a number have been jailed and many have fled the country. In some cases, families and relatives who were left behind have been harassed or jailed themselves. In others, the self-exiled live in legal limbo, hoping to eventually find asylum in other countries. 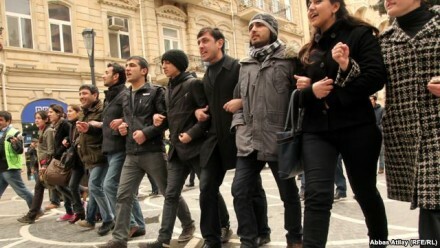 Azerbaijani President Ilham Aliyev signed a decree on March 18 pardoning a few journalists and bloggers. Others, including Ismayilova, remain in prison. Here’s an update on several prominent cases, offering a glimpse of the human costs to those involved. 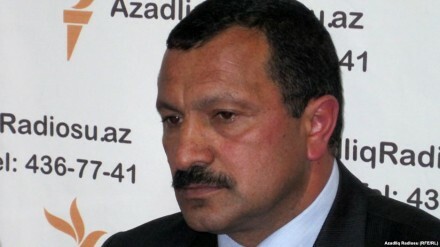 Hashimli, a journalist for Bizim yol newspaper and the editor-in-chief of the news website www.moderator.az, as well as the head of the human rights organization Center for the Protection of Political and Civil Rights, was sentenced to eight years imprisonment on an arms smuggling charge on May 15, 2014. Hashimli was brought to the courthouse with a bag over his head. On the day of his arrest, a number of MNS officers searched his house. Despite the presence of his five-year-old daughter, the officers did not remove their weapons during the search. Even though they had a search warrant, they first attempted to enter the house through the windows. When the officers realized there were security cameras recording in the courtyard and inside the apartment, they broke the cameras. His wife, Ilaha Hashimli, requested that the officers admit neighbors and journalists who had come to the house during the search, but she was ignored. Hashimli’s wife told the journalists and human rights defenders present that arms and ammunition had been deliberately planted in their apartment. On Dec. 13, 2013, when Hashimli was brought to court for his trial, he shouted: “I am tortured!” He reportedly attempted to commit suicide when he was kept in the MNS Investigative Prison. “Parviz’s lawyer told me that he wanted to commit suicide, and kill himself with scissors. But employees of the MNS prevented it,” his wife told Voice of America. Hashimli stated that he has been held in a solitary confinement cell at the MNS Investigative Prison during his extended pre-trial detention and various appeals hearings. He said that he was harassed, pressured to refuse a lawyer, and the light in his cell was not switched off at night. Hashimli has been recognized by Amnesty International as a prisoner of conscience. He was released in a pardon decree signed by President Aliyev on March 18. 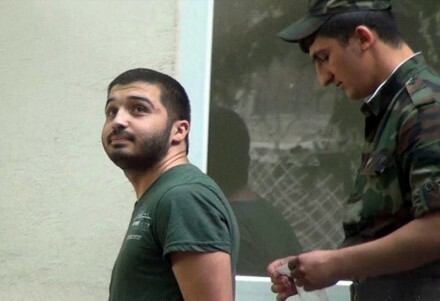 Blogger Omar Mammadov, age 19, the administrator of Facebook pages “Selected Samples from AzTV” and “Page Named After Haydar Aliyev”, was detained on Jan. 24, 2014, by plainclothes officers and brought to the Main Department to Combat Organized Crime, where officers claimed to find six grams of heroin on him. He was charged with drug possession and trafficking and was sentenced to five years’ imprisonment on July 4, 2014. According to his court testimony, the number of visitors to “Selected Samples from AzTV” has reached a half-million. He claimed his arrest was related to his social network activity. The police first visited his house in November 2013 after blogger Abdula Abilov’s arrest. Mammadov’s father was summoned to the Main Department to Combat Organized Crime instead of Mammadov, who was studying in Cyprus. 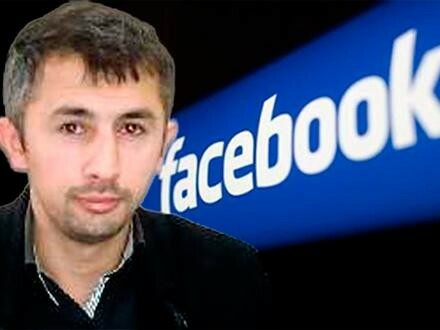 Mammadov’s father was ordered to the police station in connection with his son’s Facebook activities. After a phone call to Cyprus from his father, Mammadov was asked to leave the Facebook pages he ran, and he agreed. His father was released after Mammadov promised to return Azerbaijan on Jan. 20. Amnesty International considers Mammadov a prisoner of conscience, detained solely for the peaceful exercise of his right to freedom of expression and association. He was released on March 18. Tofiq Yagublu is a journalist with the Yeni Musavat newspaper and deputy chairman of the opposition Musavat Party. 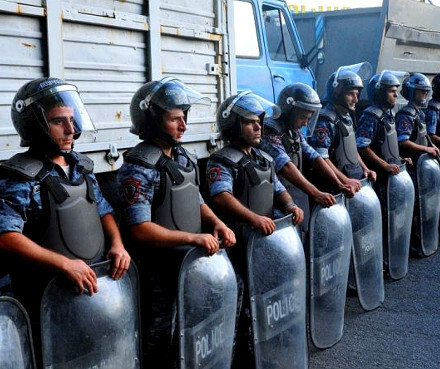 On Jan. 23, 2013, mass protests broke out in the Ismayilli region, as residents demanded the resignation of the head of the local executive authority, leading to confrontations. 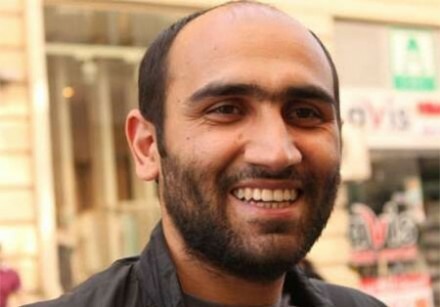 The day following the protest, Yagublu visited Ismayilli using his journalism credentials issued by Yeni Musavat, but was detained by police and forcefully brought back to Baku. On Jan. 29, Yagublu was summoned to the Grave Crimes Investigation Department of the Prosecutor General’s Office. He was released after being questioned about his Ismayilli visit. When he was summoned to the Investigation Department again on Feb. 4, Yagublu was sentenced to two months of pre-trial detention. Yagublu was subsequently sentenced to five years imprisonment by the Sheki Grave Crimes Court on March 17, 2014 on charges of organizing mass disorder and resisting police with violence. 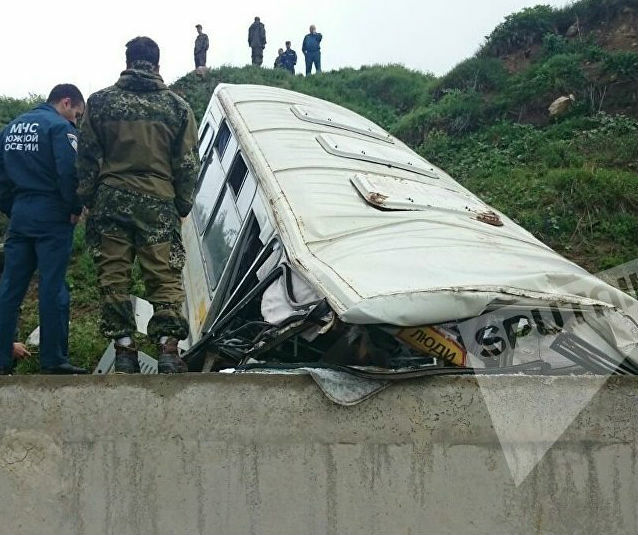 On Jan. 21, 2014, his wife, Maya Yagublu, daughter Nargiz Yagublu, and family friend Chingiz Ali were in a car crash while coming back to Baku from his trial in Sheki. His wife required an operation and has since recovered. However, Yagublu’s daughter Nargiz, age 25, died on April 23, 2015 while he was in prison. She was pregnant and suffering from hepatitis. Yagublu was released for a few days to attend his daughter’s funeral. A report by the Council of Europe’s Human Rights Commissioner states that the charge brought against Yagublu is not convincing. The organization Amnesty International recognized Yagublu as a prisoner of conscience. He was released on March 18. Russian language newspaper journalist Rauf Mirkadirov was charged with state betrayal and sentenced to six years imprisonment by the Baku Court of Grave Crimes on Dec. 28, 2015. On April 19, 2014 Mirkadirov had been detained by the Turkish police in Ankara, deported to Azerbaijan, and detained by the employees of the Ministry of National Security (MNS). Mirkadirov had been working for the newspaper Ayna-Zerkalo while living in Turkey since 2010. He mainly analyzed regional situations, the Nagorno-Karabakh conflict and Russia’s intervention in the region. The MNS accused him of meeting with David Shakhnazaryan, Armenia’s former Minister of National Security, and giving him secret photos and plans for strategic facilities of military importance. Mirkadirov denied the charges. 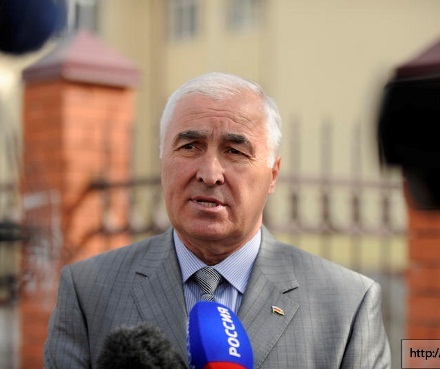 On May 23, 2014 the police searched the home of his father, Habibulla Mirkadirov. After the search the elder Mirkadirov’s health deteriorated, and he died the following day. Mirkadirov was allowed to attend his father’s funeral. Police have searched the office of Ayna-Zerkalo. Editor-in-chief Elchin Shikhli’s computer and documents belonging to the newspaper were confiscated. Later Ayna-Zerkalo and its Azerbaijani-language version, Ayna, were shut down. Shikhli said the newspapers were closed down because of financial difficulties. Mirkadirov was an active participant of people-to-people diplomacy between Armenia and Azerbaijan. The organization Amnesty International recognizes Rauf Mirkadirov as a prisoner of conscience. Rauf Mirkadirov, was released on 17 March 2016, by the Baku Court of Appeals, which commuted his six-year prison sentence into a suspended five-year sentence. Khadija Ismayilova is a prominent investigative journalist and OCCRP partner who was detained on Dec. 5, 2014, on a charge of inciting a person to attempt suicide. She was once the head of the Baku office of Radio Free Europe/Radio Liberty and had been working as the host of “Ishden sonra” (After Work), a political program on Radio Liberty. She has written several investigative articles about secret business deals and activities of President Aliyev, his family members, and other high-ranking government officials. On March 7, 2012, Ismayilova was first blackmailed. She received an envelope containing intimate photos of her life and a note: “You will be dishonored if you don’t stop.” In her interview with Obyektiv TV, she called the case blackmailing and a crime. Later videos of her were published publicly. Listening devices and cameras was found in her flat. Radio Liberty states that cameras were placed in the flat in July of 2011. Her arrest was related to the investigation of Tural Mustafayev’s suicide attempt by swallowing rat poison. However, Mustafayev made public video statements several times and declared that he has withdrawn his petition against Ismayilova, which he said he had written under duress by prosecutors. He said law enforcement and special service bodies pressured him to give testimony against Ismayilova. There have been other investigations and court cases against Ismayilova. It was alleged that on Feb. 17, 2014, she had disclosed on her Facebook page a document possibly connected with functions of the Ministry of National Security (MNS). The document was about MNS’s placing agents in opposition parties. Ismailova said that the document was passed to her in 2011 by former MNS officer Ramin Nagiyev, who currently lives in France. In accordance with Article 284.2 (disclosing state secrets) of the Criminal Code, a criminal case concerning dissemination of that document was launched by the Grave Crimes Investigation Department of the General Prosecutor’s Office. During the investigation, Ismayilova was banned from leaving the country. After her arrest, new charges were brought against her in accordance with Articles 179.3.2, misappropriation and peculation, when committed in large amounts; 192.2.2, illegal entrepreneurship; 213.1, tax evasion; and 308.2, abuse of official authority. Ismayilova and her lawyers deny the charges brought against her and state that her arrest was politically motivated due to her journalistic activities. She was sentenced to 7 years and 6 months in prison on Sept. 1, 2015. She was recognized as prisoner of conscience by Amnesty International. 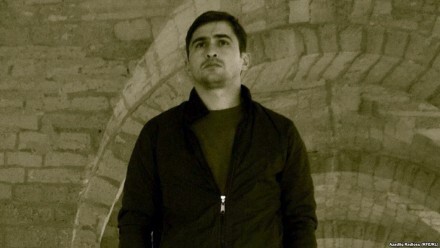 Blogger Abdul Abilov, 31, the administrator of a popular Facebook page called “Stop Sycophants,” was charged with drug possession and sentenced to 5.5 years in prison by the Baku Grave Crimes Court on May 27, 2014. Police claimed to have found four grams of heroin in the pocket of Abilov’s coat at his house. He says that during his arrest, 2.679 grams of heroin was planted in his pocket. The police officers who first searched Abilov’s home confiscated a notebook of his. A few hours later, his “Stop Sycophants” Facebook page was shut down. At his trial, Abilov said the drugs were planted by police, and he was being persecuted for criticizing the government on social networks. His lawyers claim that the case is politically motivated and that Abilov has been imprisoned without reliable evidence. Abilov created and administered another Facebook page on election fraud after the Oct. 9, 2013 presidential election and managed it until his arrest. On this page, he posted photos and videos showing election fraud. 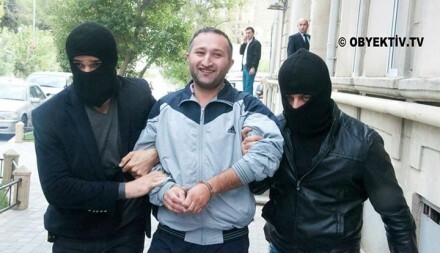 His sentencing came one day after the chairman of an election watchdog in Azerbaijan, Anar Mammadli, and two associates were sentenced to several years in jail each on charges of tax evasion, illegal business activities, and using their office to falsify election results. Amnesty International considers Abdul Abilov to be a prisoner of conscience, detained for peacefully and lawfully exercising his freedom of expression. Seymur Haziyev, a commentator for Azadliq newspaper, a host of the “Azerbaijan Hour” satellite TV program, and a member of the Presidium of the Azerbaijan Popular Front Party, was charged with hooliganism and sentenced to five years in jail in 2015. He was accused of beating a man who he said he did not previously know. Haziyev claims that his arrest is related to his public activity and that he had constantly been followed by unknown persons before his arrest. He also claims he had been kidnapped by black-masked people and tortured in 2011. The organization Amnesty International recognized Seymur Haziyev as a prisoner of conscience. 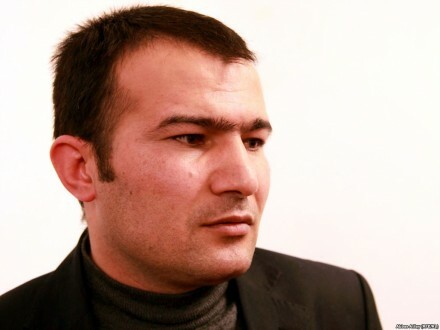 Blogger Faraj Karimov, the deputy chairman of the opposition Musavat Party, was detained on a drug trafficking charge on July 23, 2014 and was sentenced to 6.6 years imprisonment. 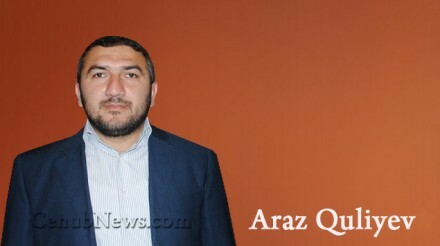 He managed the official website of the Party, www.musavat.org.az. In addition, he is known for his activities on social networks, where he was the creator and administrator of the Facebook group “Istefa” (“Resignation”), which had more than 100,000 members before it was shut down in 2013. After “Istefa” was shut down, he created the Facebook group “BASTA,” which is criticized by the government and has more than 100,000 members. On July 23, 2014 he was detained by black-masked persons while accompanying his mother to the hospital. Relatives could not get official information and considered the case as a kidnapping. Two days later, the Narimanov district court issued three months pre-trial detention. Karimov called his arrest politically motivated during his trial. Amnesty International has recognized both brothers as prisoners of conscience. Siraj Karimov was released on March 18. He was detained on May 9, 2013 and charged with drug possession. According to official information, the police found 9 grams of narcotic substance on him. 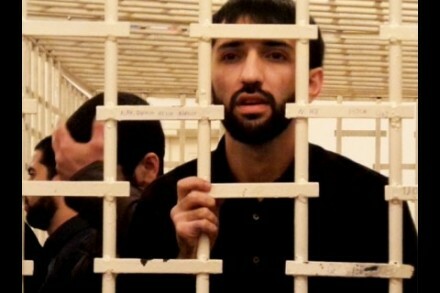 Following his arrest, Ramazanov was unlawfully held in the Ministry of Internal Affairs’ Main Department against Organized Crime for 11 days. After a number of challenges from local and international organizations, he was transferred to the investigative prison. Lawyer Aslan Ismayilov stated that Ramazanov was subject to torture and beatings while in custody. Ismayilov’s appeals to various agencies demanding an investigation into this yielded no results. He was sentenced to 9 years in prison by the Baku Court of Grave Crimes. Ramazanov has been recognized as a prisoner of conscience by Amnesty International. Aliyev was the editor-in-chief of www.azadxeber.az, a religious-oriented website critical of the government. He was detained on May 20, 2012. Before Aliyev’s arrest, the website published materials criticizing the government’s policy in regard to religion, the allocation of too much funding for the Eurovision 2012 Song Contest, and the possibility of an LGBT parade in Baku. On the eve of the Eurovision Contest, after disseminating these materials and CDs containing the speeches of theologians Abgul Suleymanov and Tale Bagirov, Aliyev and nine other religious activists were arrested. Aliyev was first charged with possession of drugs. 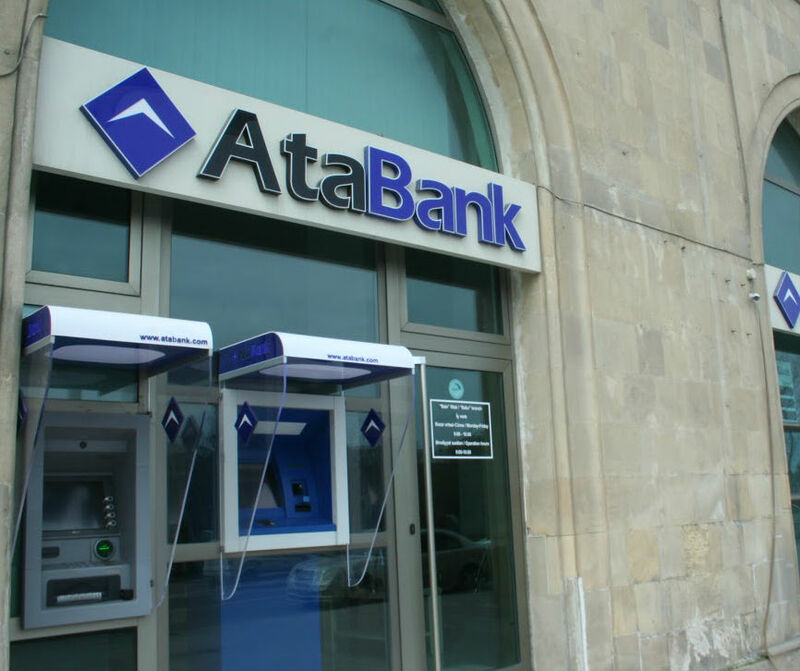 Eight months after his arrest, on Jan. 26, 2013, three more charges were brought against Aliyev. On December 9, 2013, the Baku Court of Grave Crimes sentenced Aliyev to 10 years in prison, the full sentence requested by the prosecutor. 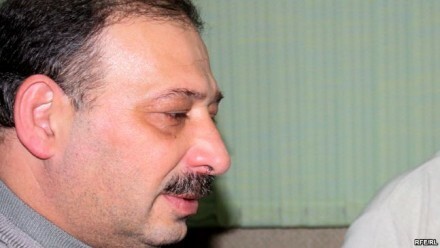 Aliyev and his lawyer Yalchin Imanov stated during the trials that Aliyev was tortured by police and sustained serious injuries at the time of arrest. These claims were not investigated. Aliyev was arrested 23 days after his wedding. Amnesty International described the charges against the journalist as questionable and recognized him as a prisoner of conscience. Guliyev is the editor-in-chief of www.xeber44.com, based in Masalli, a southeastern region of Azerbaijan. The articles published on this website often criticize the government’s policies on religion, as well as social problems of the Masalli region. In connection with his activity on this website, Guliyev was repeatedly taken to the police station before his arrest, where he was warned to stop his activity. Local authorities also warned Guliyev. Two days before his arrest, on Sept. 6, 2012, Guliyev and Masalli resident Rza Agali were detained and beaten by police and plainclothes men, then taken to the Masalli Regional Police Department. They were released on instructions from Deputy Police Chief Alifaga Kazimov at 3 am. Around 9 pm on Sept. 8, Guliyev and Masalli resident Ziya Tahirov protested against the inclusion of a disco party in Nizami Park as part of a folklore festival being held in Masalli. The two looked for the organizers to get additional information about the event for an article. However, the police ordered them from the area. Two hours later, when Guliyev and Tahirov returned to the scene, they saw that the event had ended and that there was only a police car at the park. The police car approached them, and Deputy Chief Kazimov talked to them for about 30 minutes, after which he left the area. Then a group of 25 to 30 plainclothes men arrived at the scene, where they started to insult Guliyev and Tahirov and threw stones at them. Police arrived a little later and beat and arrested the two men. 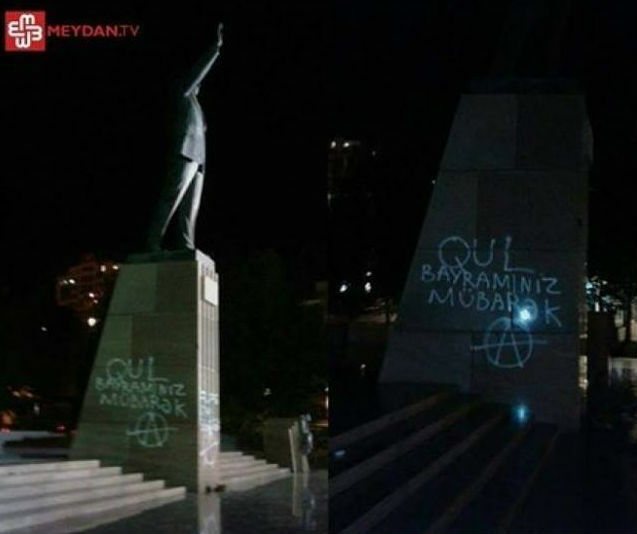 Guliyev was charged with hooliganism and resisting police. Eleven days after the journalist’s arrest, on September 20, his house was searched, and it was claimed that a grenade had been found. In December of 2012, Guliyev was charged with publishing articles containing religious enmity, violation of public order, arms possession, and insult of the state flag. He was convicted and sentenced to 8 years in jail on April 5, 2013 by the Lankaran Court of Grave Crimes. The flag, which it is claimed he tore, was not in the materials of the criminal case as evidence. The organization Amnesty International recognized him a prisoner of conscience. The article was first published by Organized Crime and Corruption Reporting Project.